I have to confess. I love boat shows. Many people mistakenly believe that if you are not interested in buying a boat it is a waste of time to go to attend one. I could not disagree more. 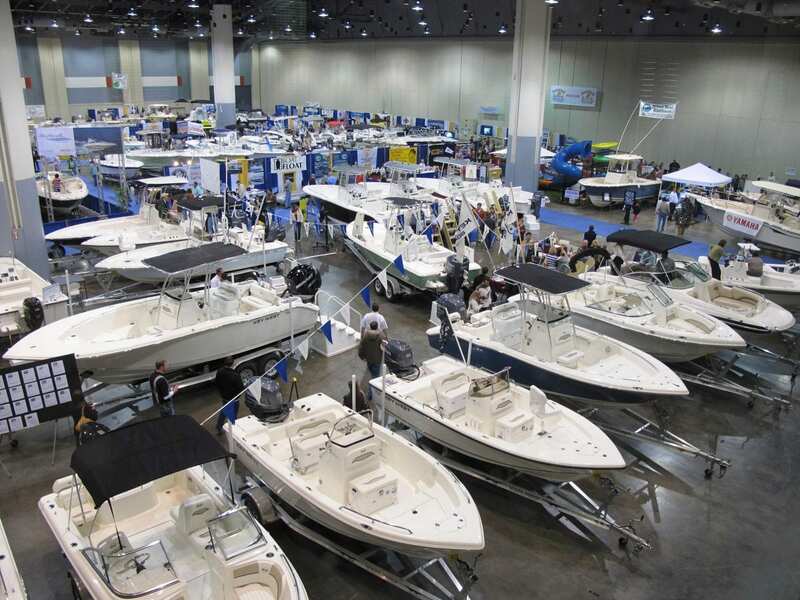 It seems like every time I attend a boat show I come away with valuable new knowledge, whether it involves new gadgets and equipment, or relate businesses such as insurance or towing. It was at a boat show that I first learned about a turbo swing, which is a great device for keeping a rope (used in wakeboarding or skiing) away from an outboard motor. It is so useful that we purchased 20 of them for use at Freedom Boat Club. The turbo swing has the added benefit of protecting outboards from damage. In addition to seeing all the latest marine products and gadgets, I also enjoy visiting boat shows for the opportunity to meet like-minded people. People who love boating love to talk about boating and share their experiences. Plus, there is always food trucks, music, and various other activities. Most boat shows also offer plenty of giveaway products, like lifejackets, as well as activities to entertain your kids, such as a free fishing clinic. And, if you happen to be in the market for a new boat, there is no better place to look. Where else can you mind so many different models, engines, and accessories, all within walking distance? It’s extremely helpful in giving you everything you need to make an informed decision. It was at the Jacksonville boat show where I discovered that Larson had an outboard boat that I didn’t even know existed. I bought that boat and kept it for 12 years. It ended up being one of my favorites.